My wife used to rave over the gelato at Tifa Chocolate and Gelato in Agoura Hills when it was located near Ladyface Alehouse and Islands. She still raves about Tifa after its move in May 2013 to a new, larger location at Whizin Market Square, 28888 Roadside Drive in Agoura Hills. On a recent foray to Paramount Ranch with the kids, I stopped by Tifa afterwards for a treat. You will see the Tifa store sign facing the 101 Freeway. Park either on Roadside Drive or in the Whizin's Square. Access Tifa on the Whizin's Square parking lot sign (it will be obvious when you get there). 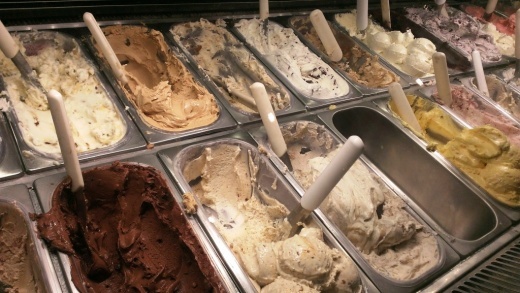 They have some great gelato flavors as well as a selection of coffee, tea and expresso drinks. Plenty of indoor tables. Kind of a neat coffeehouse flair to the place. Right across the parking lot is The Canyon Club, making Tifa a perfect pre or post concert hangout. I would have posted pictures of the gelato, but was too busy salivating and didn't want to ruin the camera with slobber. The kids and I (or is it me and the kids, I dunno), enjoyed the following flavors in our most recent visit: Cookies & Cream, Dark Chocolate, Mint Chip, Lemon Cookie, Salted Caramel and Lemon Sorbeto. My youngest is a big lemon fan. 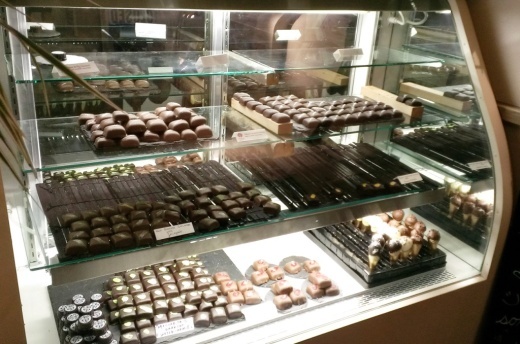 Visit www.tifachocolate.com for more information or call 818.879.0685.